How fast can a company turn around? The iögo story is one of business transformation. It provides a strong example of Canadian innovation and success, generated in partnership with CASACOM’s long-term client Ultima Foods (UF). In 18 months, together, we repositioned an entire business. Ensured all issues were mitigated before the launch (an 18-month confidential process). Developed and consistently told consumer-focused stories that went beyond products. 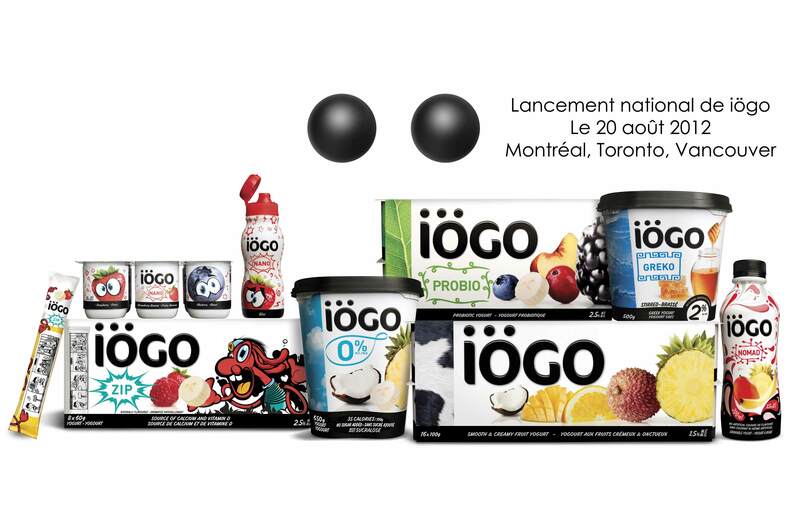 Conducted a national study enabling it to write, design and produce a 22-page booklet called “40 Years of Yogurt”. Created faces for the new company and brand, leveraging these ambassadors online and in person. Built anticipation/intrigue via teasing techniques to engage consumers/influencers; created a iögo mania and tailored activities for each region and audience: influencers events, online influencer campaigns, flashmobs, etc. Developed content for social media platforms. Worked within tight/new deadlines, as well as produced detailed documents updating progress on media relations, event logistics, material development, etc. The iögomania went on for a year! Finally, CASACOM won a prestigious PRSA Silver Anvil Award in 2013 for this campaign.